I've always enjoyed creating my own holiday decor. By combining pre-made pieces and your own handmade creations, your decor is truly one of a kind and I think that makes it a little more special. I partnered with Cricut and Balsam Hill to create this Christmas Peppermint Wreath, and am hoping to inspire you to create handmade holiday decor for your own home! 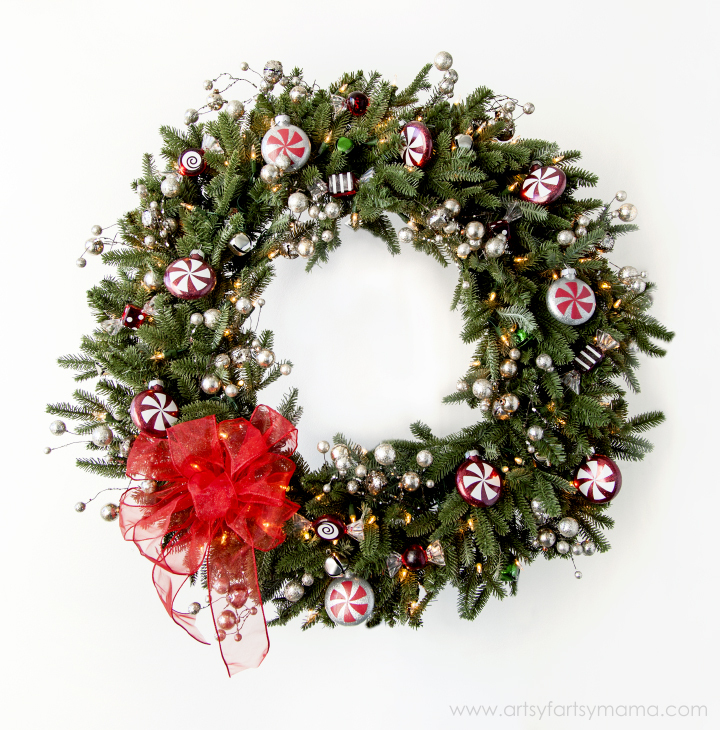 When putting together a wreath, the base is just as important as the decor you add to it. I started out with the Balsam Hill Fraser Fir 36 inch wreath. It comes pre-lit, so you don't have to do any work yourself to prep the wreath. The quality of the wreath is one of the best I've ever worked with, and I am so impressed with how realistic it looks. I wanted to go with a red, white, green and silver color scheme. 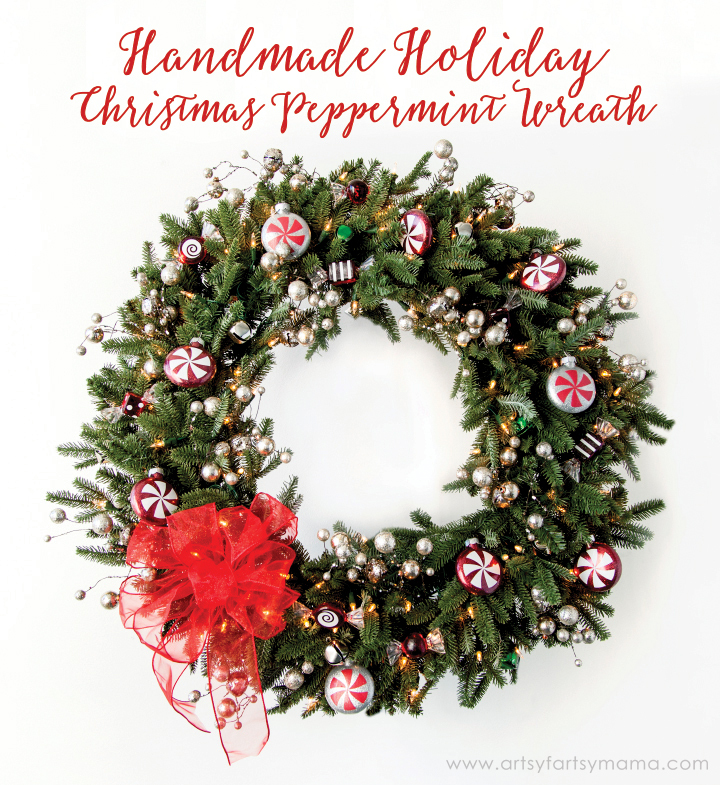 With that in mind, I went to the craft store and found lots of ornaments and other accessories that really inspired me to go the peppermint candy route with my wreath. Some of the unique ornaments I found were glass candies in different shapes like the one shown above. 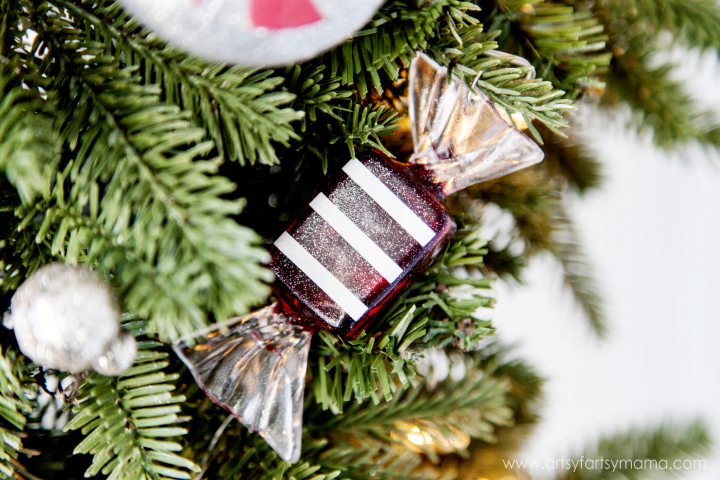 To brighten them up, I used my Cricut Explore machine to cut white vinyl into different shapes to apply to the candy ornaments. I used the basic shape tool to create polka dots and stripes, and then found this swirl shape in Design Space to decorate the ornaments. Once the vinyl was applied, I attached them to the wreath with some floral wire. The light from the wreath really makes the candies glow, and I love how it brings more pops of red to the wreath! 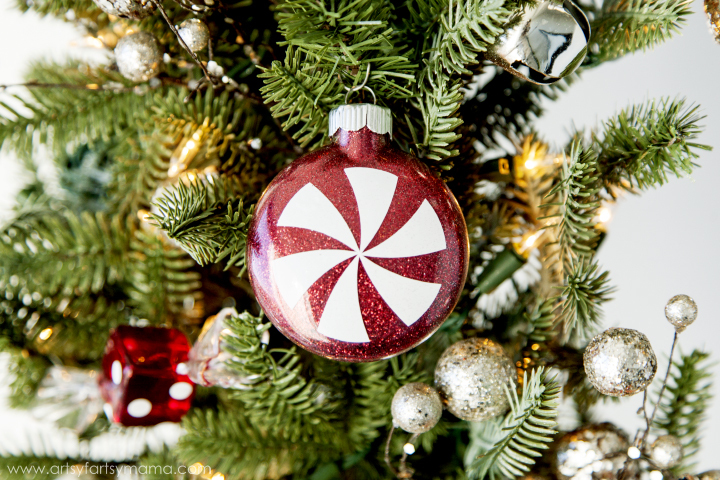 Because I believe that everything (especially Christmas decor) can aways use more sparkle, I found some clear, glass ornaments and created red and silver glitter peppermint ornaments. They are deceptively simple to create and look so sparkly and classic against the green foliage of the wreath. One of my best tips with creating your own wreath is adding more details. By simply adding some gorgeous Balsam Hill's Glittered Jingle Bell Picks, I was able to add a bit of jingle, and a whole lot of sparkle to the wreath. I also put together a red bow out of sheer ribbon to help brighten the wreath up and bring in more color. Keep in mind that you can easily change out details to work in different color schemes!! Get creative, and have fun! I had so much fun putting this wreath together and am excited to finally be sharing it with you all. I hope I've inspired you to create and I'd love to hear what colors you like to use in your holiday decor! This is a sponsored post courtesy of Cricut and Balsam Hill, but as always, all opinions and ideas are 100% my own. that's beautiful! you should make one for your mother! The wreath is gorgeous and I love all the little ornaments. The vinyl you added to the ornaments give them just the right detail. That is a very beautiful wreath. 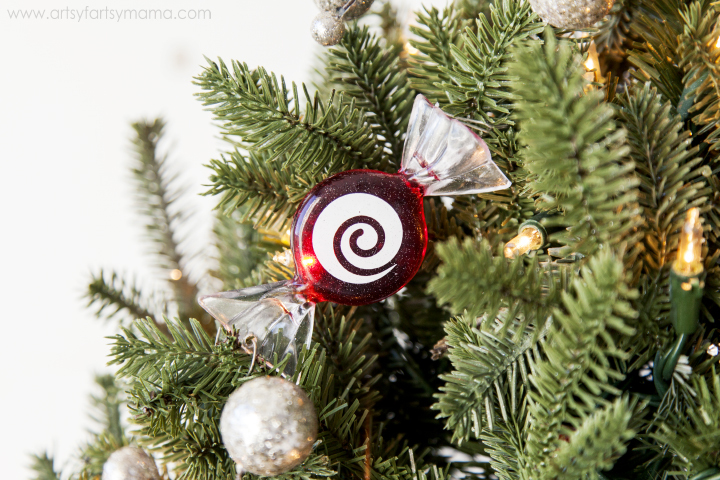 The candy ornaments are stuning, and the jingle bell picks fabulous! Thanks for the inspiration. This is beautiful! 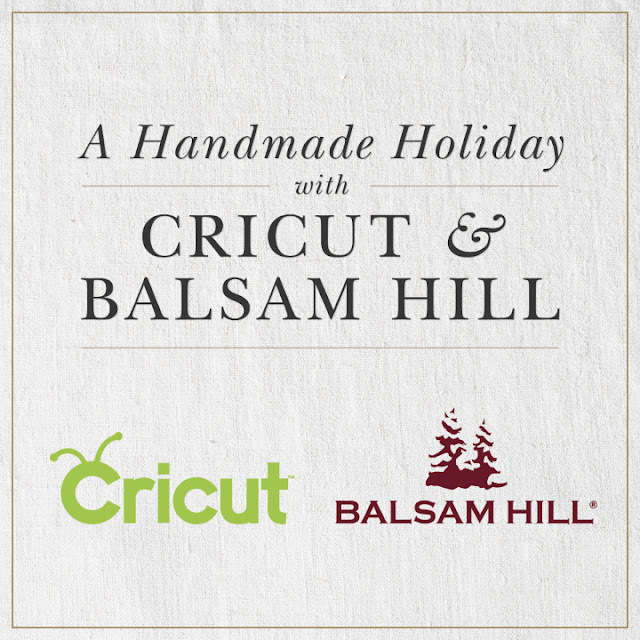 I've been looking for wreaths and overwhelmed by options, going to check Balsalm Hill out! This wreath is gorgeous! I love it!